The Marvel Bishoujo collection continues with a brand new version of the mysterious and beautiful telepathic mutant ninja, Psylocke X-Force Ninja! Based on a new illustration by master illustrator Shunya Yamashita, Psylocke has never looked better in her X-Force outfit with a Bishoujo style face. A long-time member of the X-Men, Psylocke more recently joined up with the brutal mutant hit squad X-Force, comprised of mutants willing to do anything to get the job done and protect the world. Psylocke crouches on a beautifully scuplted georama base, ready to spring to the attack, with her hair and sash flowing in the breeze. She’s never looked better in her X-Force outfit consisting of a sleek black skin-tight costume, thigh high boots, long fingerless gloves, and unique straps around her upper arms and legs. All of that is offset with a white belt decorated with the red and black X-Force symbol, and the tied off sash waves with unseen wind along with Psylocke’s trademark purple hair! Sculpted by Busujimax (Takaboku Busujima), the new X-Force Psylocke reaches 20 cm high (1/7 scale) in her dynamic pose. A fantastic addition to any Bishoujo Statue or X-Force collection, this Psylocke is not to be missed! 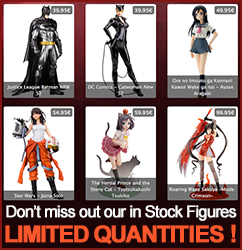 Display alone or along with other Bishoujo Statues from Kotobukiya based on characters appearing in Marvel Comics!